Well it's been quite a while since a roundup. The last few weeks have consisted of me, mostly completing my research module, and finding no time for blogging, cooking or even eating! In this time though, there have been some fab new discoveries, which have kept me going as I squirrelled away writing essays late into the night. 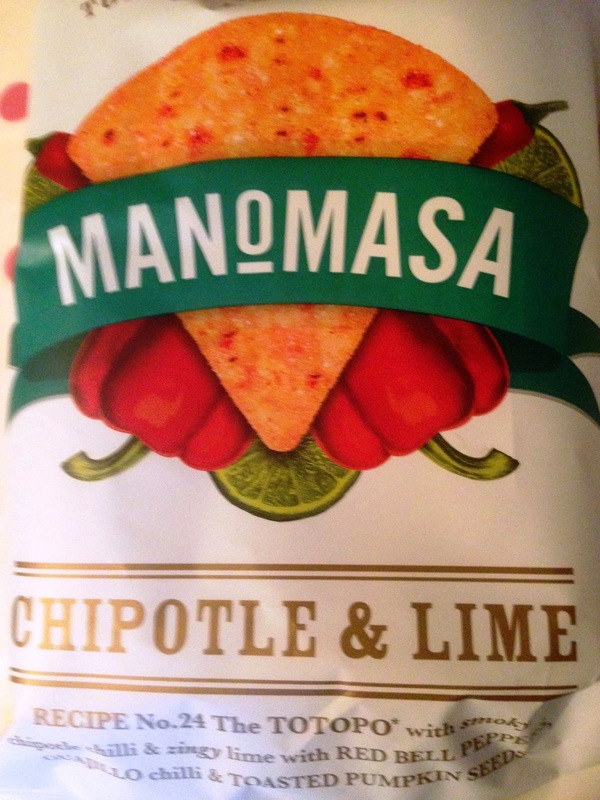 First up are Manomasa Tortilla Chips. As a big Fan of Mexican food, I was happy to receive this exciting new brand of Tortilla Chips "with spirit". The Tortilla Chips are available in three delicious flavours, Chipotle and Lime, White Cheddar and Sea Salt, and Cracked Black Pepper. Manomasa Tortilla Chips are a little different as they have a distinctive shape, and are made from white or yellow corn masa. They also use different ingredients such as Sunflower, Linseed, and Caraway, to create textures, for extra flavour and depth. Their shape, means that they are also great for scooping or dipping. We dipped them in sour cream and salsa - yum! We sampled all three flavours of Tortilla Chips and they were a welcome break from the typical flavours you normally find Tortillas in. Our favourites by a long mile were the Chipotle and Lime, they were so delicious, and I loved the fiery kick of the Chilli, coupled with the tanginess of the Lime. 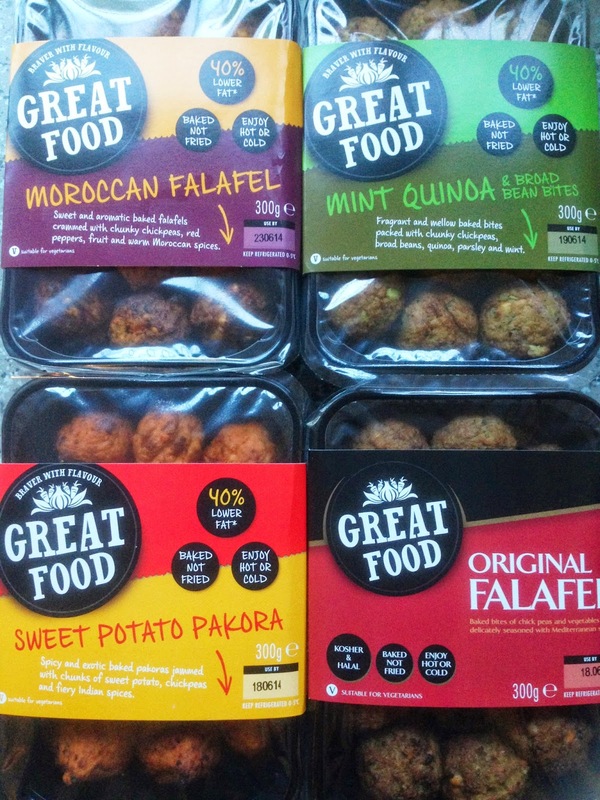 We were also sent some great summer foods, Falafels from Great Food. Great Food produce real, balanced food stuffed full of vegetables, herbs and spices. Their products are vegetarian, kosher, halal, gluten, nut and dairy free. We received Original Falafels, Morroccan Falafels, Sweet Potato Pakoras, and Mint Quinoa and Broad Bean bites. The products are all steam cooked rather than fried. We loved all four of the products, although the Mint and Quinoa were my personal favourites, along with the Morroccan Falafels.